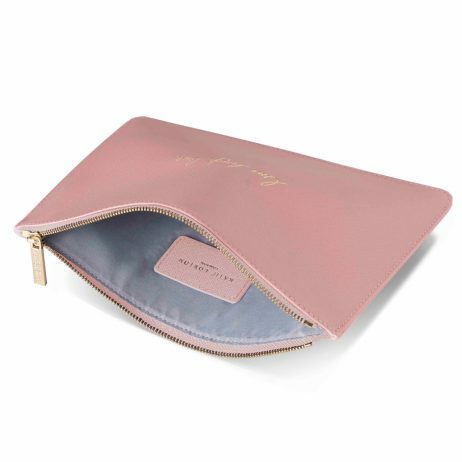 The perfect pouch from Katie Loxon has a make-over, and the result is ever more beautiful than before. The new look features gold ‘handwritten’ sentiments, this Katie Loxton Live Laugh Love Handwritten Perfect Pouch in blush pink has the words ‘Live Laugh Love’ and is elegantly finished with a gold branded zip and grey lining. The perfect clutch for every season. 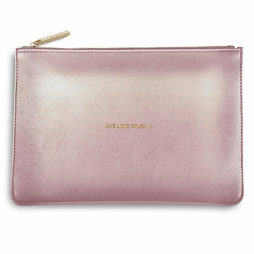 The perfect pouch from Katie Loxon has a make-over, and the result is ever more beautiful than before. 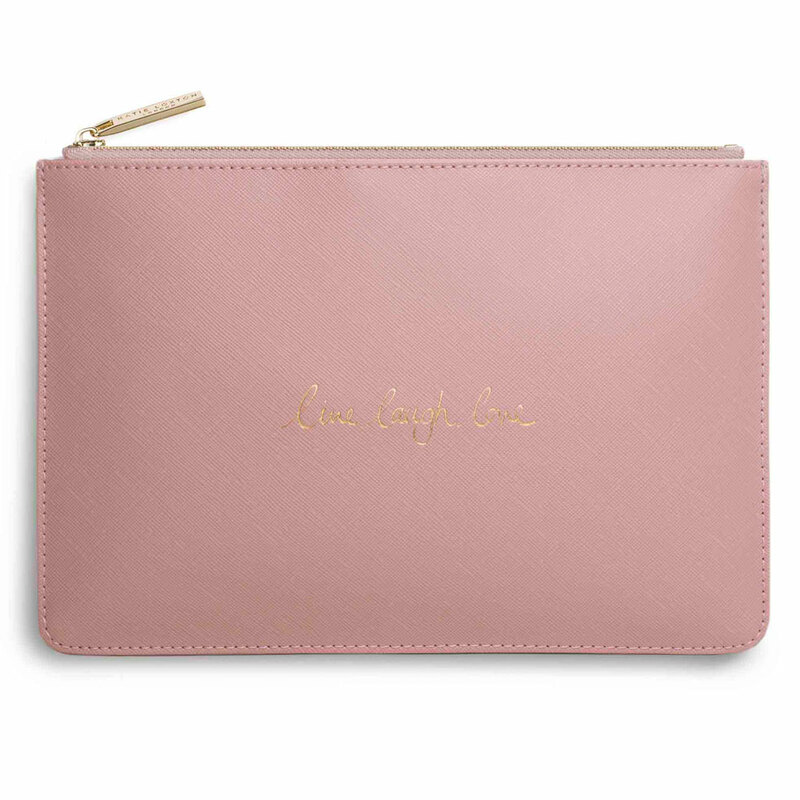 The new look features gold ‘handwritten’ sentiments, this blush pink clutch has the words ‘Live Laugh Love’ and is elegantly finished with a gold branded zip and grey lining. The perfect clutch for every season. 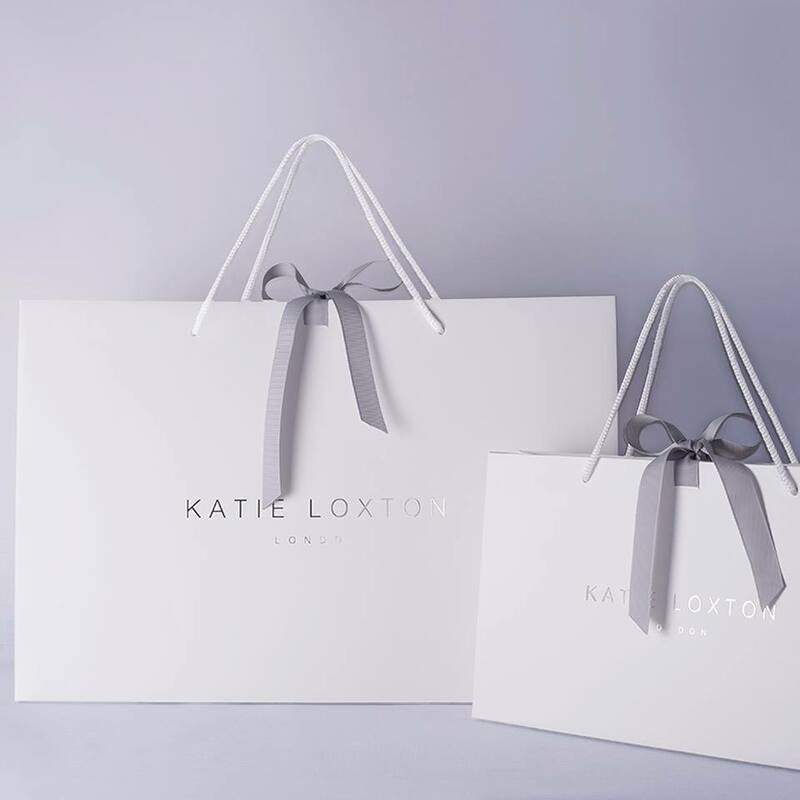 We’re so excited about the new additions to the Katie Loxton range of fashion and home accessories, classic pouches are back in fabulous new colours and sentiments adding effortless style through the new season. I received one of these pouches as a present and loved it so much I got one for somebody else as a gift. Not only did this come in a nice Katie Loxton gift bag, Lizzie Lane also gift wrapped it in lovely paper for an extra touch. High quality product and service. Would recommend. Lovely little pouch bought for a Christmas present. It’s a beautiful shade of pink and will look fab! Came very quick in a lovely presentation bag all wrapped up neatly. This really is the loveliest shade of pink, also the text is much more visible in real life than in the photo. It was a gift for someone and she absolutely loved it! I'm really pleased with my Katie Loxton pouch-it's so pretty and really well made! It was delivered really quickly and the free gift bag was a lovely touch. The pouch was also tissue wrapped by Lizzielane which was another lovely touch, showing care and attention to the product and us customers. 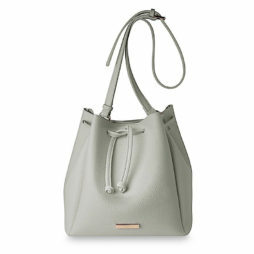 All in all a lovely product at a great price and excellent service from Lizzielane. I'll definitely be a repeat customer!